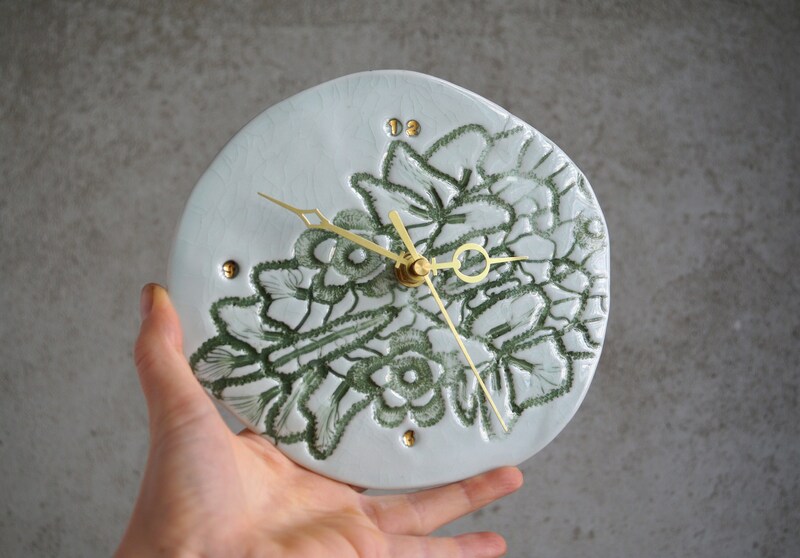 This wall clock was made from porcelain, then fired in the studio kiln twice and one more firing for 22k gold luster touch. 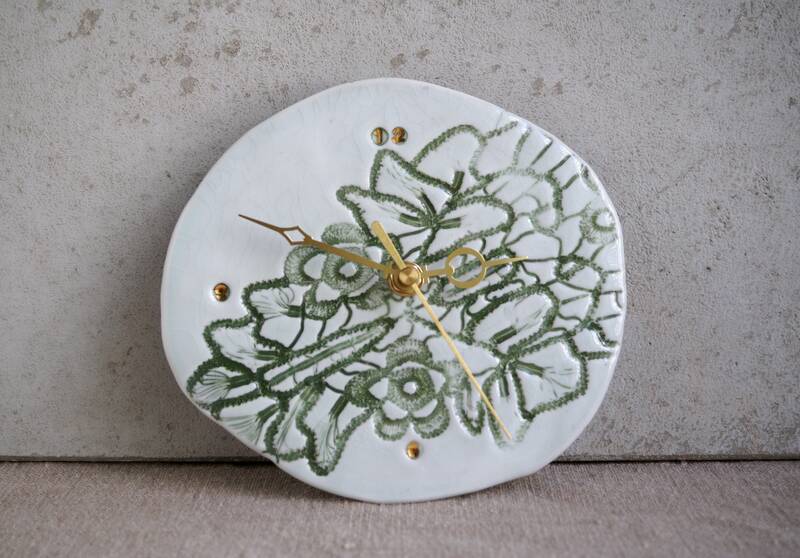 - ceramic part 7"x 6 1/2"
-Quartz movement with one AA battery, NOT included. 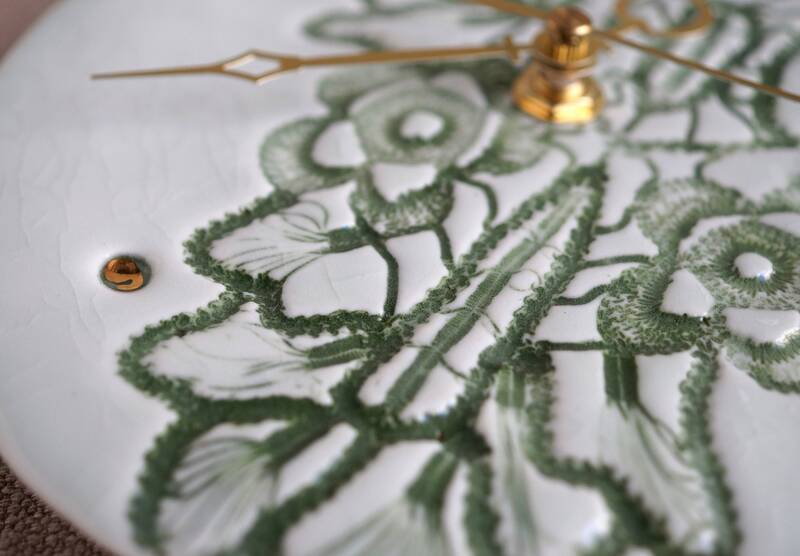 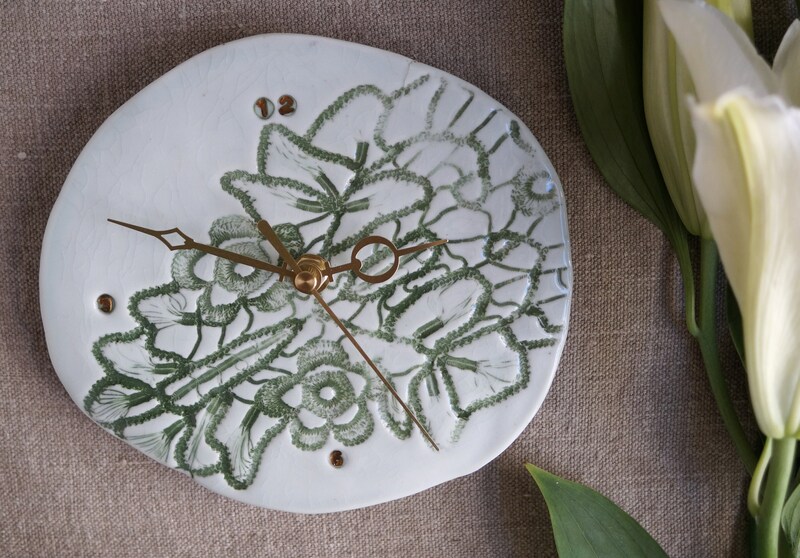 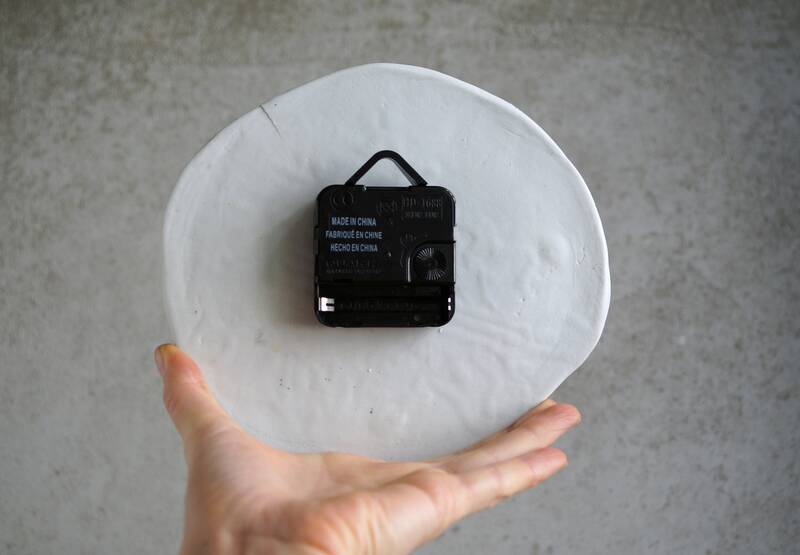 Los Angeles based ceramicist SevaCeramics creates her one-of-a-kind wall-clock. 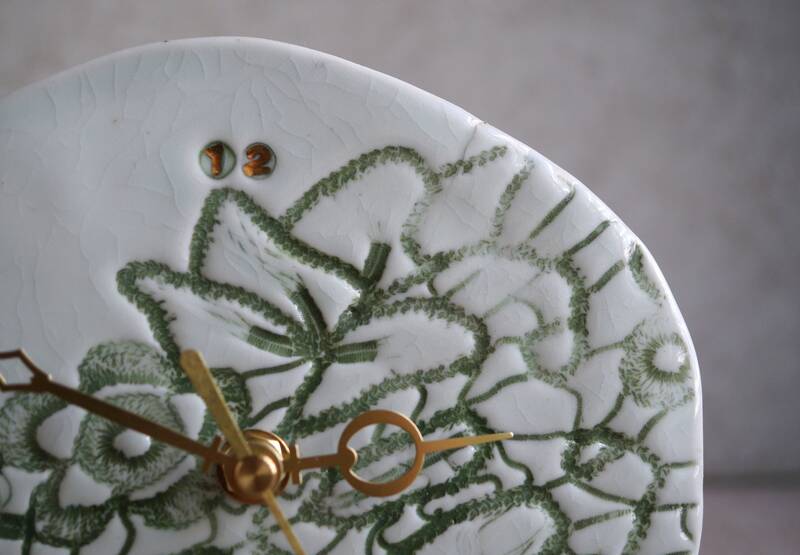 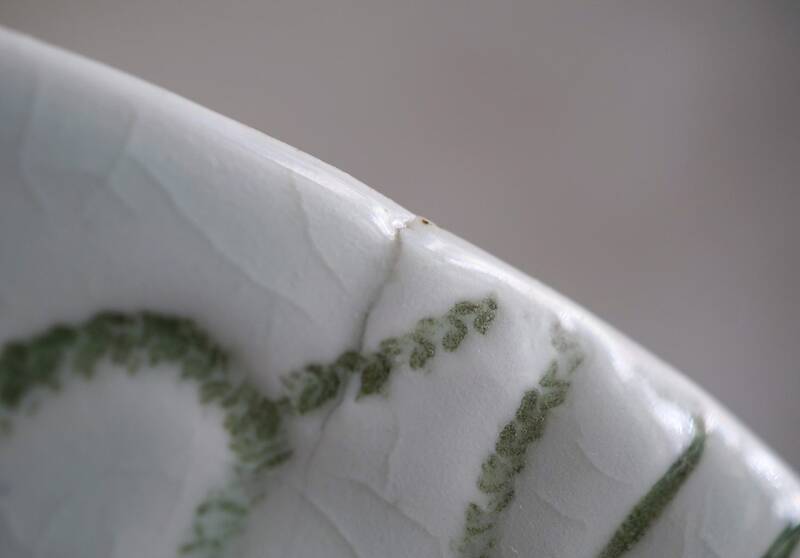 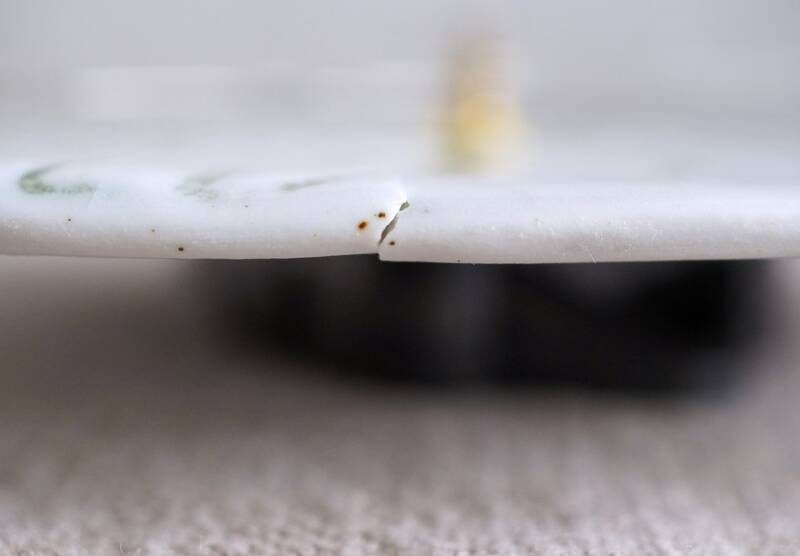 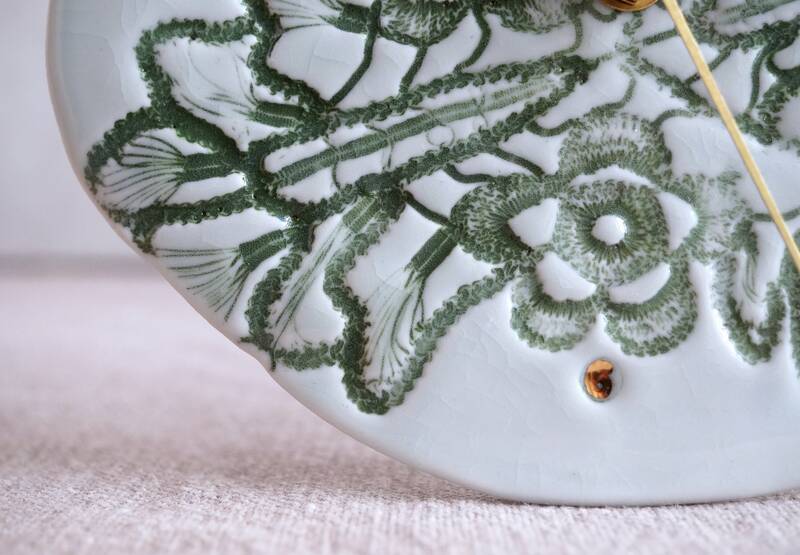 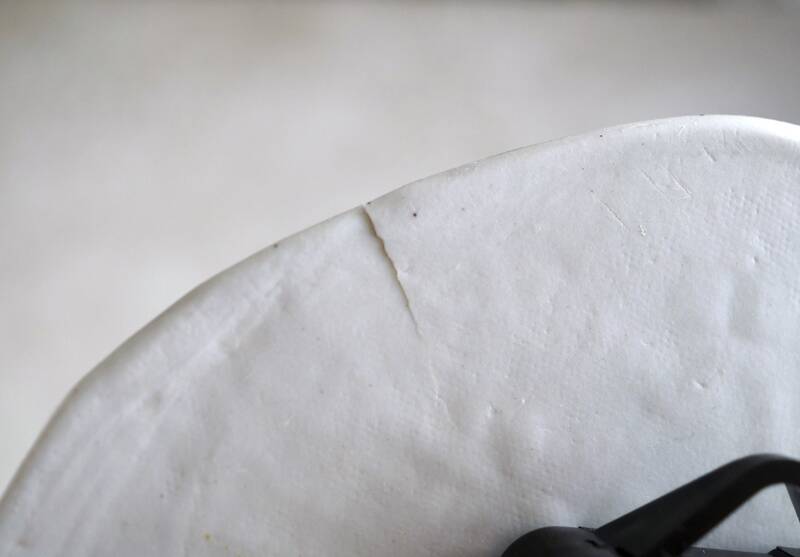 All ceramic shapes are made by hand, making each piece a truly stunning work of art.